Inspired by Teague's encouraging us to just create random stupid stuff, I went ahead and did something I've been wanting to do for a while: started a commentary podcast! At the moment it consists of myself and several friends, with most of us recording at my college's radio studio and a minority Skyping in. Partly as an homage to DiF and partly because it's a movie all of us have strong opinions on, we started with The Phantom Menace. Next one is planned to be Interstellar. Criticism would be welcome—this is a first episode and as such there were multiple rough areas. We had a blast recording it, though, and hope to continue on a regular basis. Hope you enjoy! Cool. DIF until I die though, LOLZ. That's awesome. I'll be listening. Please please please do a commentary for Dr Horrible. I always thought the lads would have done one for it in time. I'll be downloading it and giving it a listen. My only note is,... maybe mix it abit louder, I had it tuned all the way up on my laptop speakers and it was really quite. Yeah, I've gotten that note from a few different people. Next episode will definitely be louder, sorry about that! By the way, strongly recommend The Levelator freeware until you get a handle on on-the-fly mike balancing. Thanks so much to everyone for their feedback! Attempting a louder file for next time, and will definitely be using Zarban's program suggestion to balance the levels out. Next episode is being recorded this weekend. If we waited for Interstellar to be released on home media we wouldn't be recording until two weeks from now, so we're going ahead and taking the plunge into Attack of the Clones. We're trying to keep a pretty consistent two-week record/release schedule, so two weeks after that will come Interstellar. I'm very interested to see how this new show evolves (especially when you tackle some movies that DIF/WAYDM never did). Also: iTunes feed is now up. We's bonified. Just uploaded a remastered version of the TPM commentary—volume is dialed up, levels are balanced, the works. Thank you so much to Zarban for recommending Levelator, it's a godsend. AOTC this Sunday! This week's episode: Attack of the Clones. We have a bad feeling about this. . .
After one week's delay, we're back with Interstellar! This is a fun one—my roommate from Oxford, who knows a ton about the theoretical physics involved in the movie, guest-stars, and many interesting conversations ensue. This weekend, we're doing the oft-overlooked gem Shattered Glass, which, in addition to being notable for containing a good performance from Hayden Christensen, is actually a damn good movie in its own right. Topher Grace... You keep saying that name. I do not think that is who you think that is. But in seriousness, you guys are doing an awesome job. Keep it up! Oh god, I'm so sorry. XD I knew he was in Interstellar and incorrectly thought I also knew what he looked like. Will have to add an addendum to the episode summary correcting that. Thanks for the heads up! 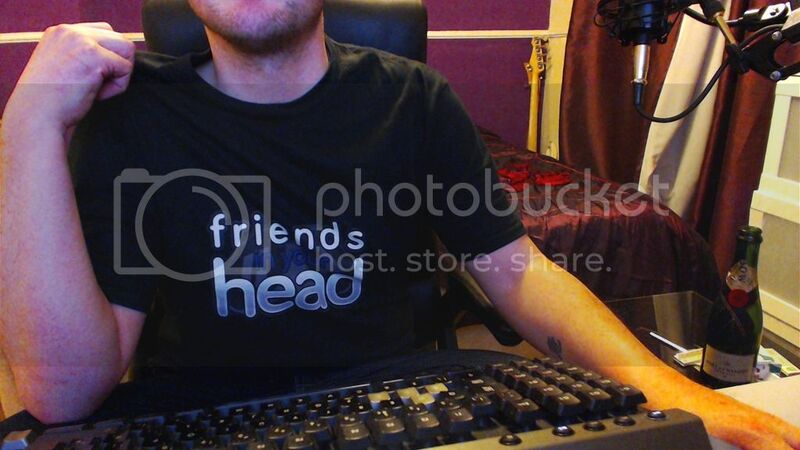 And for the positive feedback. This week's episode: Shattered Glass! I go to bat for this movie a lot—not only is it Hayden's best performance, it's an extremely well-made retelling of a story that would be fascinating even if it were shot through a potato. Special guest Katie Morford is our journalism correspondent. Next time: we dig into Watchmen. I still haven't cracked open this show. I intend to, though. It will happen! This week's episode: Watchmen! (The theatrical cut.) I think this is our best one so far—it was a blast to record, and we struck what I hope is the right balance between humorous tangents and genuine film critique/philosophical discussion (the latter sounds pretentious, but hey, this is the movie for it). Next time we'll be wrapping up the prequels with Revenge of the Sith; following that, Nate will be curating Casino Royale. This week's episode: Revenge of the Sith finishes the prequels not with a bang but with a NOOOOOOOOOOOOOOOOOO After the break, b-roll covers topics as diverse as audio editing, Nate's current illness, and the Star Wars Holiday Special. Next week, atheist Graham, Christian Kyle and apatheist Nate take on God's Not Dead; in addition to just generally ragging on the film, we're hoping to dissect what could make "message" movies work and why this one doesn't. Following that, Nate steps into the host's chair for a Casino Royale love-fest. So the Casino Royale commentary went horribly wrong, with Charles' file failing to save properly. The resulting attempt at salvaging his audio is far too hit and miss for this to serve as a proper episode, but I'll be damned if ten hours of frantic cleanup is going to waste (long story short, I had to amplify his audio bleed by like 70 decibels and then noise-remove it as best as possible). 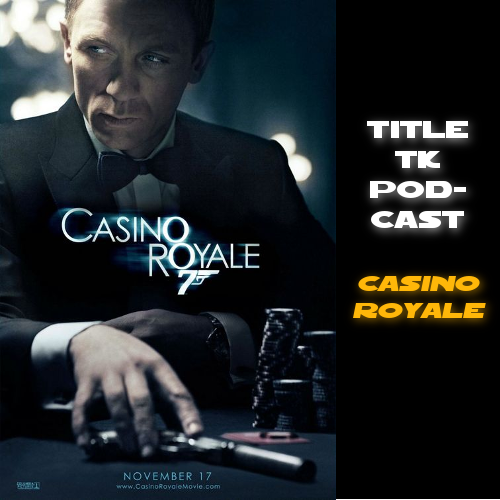 Thus this week's episode, approximately 3/4 of a proper commentary, is entitled Episode 6.5: The Casino Royale Tapes. Hey guys! We've been on a month-long hiatus due to Nate's various travels, but next Friday we're coming back with a non-commentary episode. We'll be talking about our year in film and television so far: the good, the bad and the ugly, from Hannibal to Mad Max to Blue is the Warmest Colour to Apocalypse Now.